This is our 3rd year visiting Vegas and finally, we decided to spend a day exploring outside of Vegas – into the wild wild west. We did our Grand Canyon Helicopter Tour last year and it was spectacular. 30 min helicopter ride from Vegas to Grand Canyon and seeing all the sights from up above, definitely better than 4 hours long bus ride just to get there. Watch here if you can’t see the video below. Having Grand Canyon ticked off the list, we are going to Red Rock Canyon and Valley of Fire this year. By browsing through pictures, they seem pretty similar in terms of the red coloured sandstones and both offering good hiking trails. Personally, I was more impressed by Valley Of Fire, no wonder there were so many classic movies were shooting here such as Vivas Las Vegas starring Elvis in 1963, The outside Mars scenes from Total Recall, starring Arnold Schwarzenegger, and Star Trek Generations in 1994. We rented a car ($93 USD/day) from AVIS just downstairs of Bellagio Hotel and drove from Vegas to Red Rock Canyons (1 hour+). Spent a few hours there and then took another hour drive northeast to Valley of Fire. Due to the summer heat, we didn’t plan to hike as it can be dangerous hiking in the middle of the summer dessert. Both Valley of Fire and Red Rock Canyons had a scenic drive, so it’s perfect for first-time visitors or just during the hot summer month if you can’t hike. Road trip to Valley of Fire – 1 hr + Drive from Vegas. We rented a car from Avis (93 USD per day). If joining the tour it could cost up to 90USD per person after tip. Hence it’s better to self-drive for 2 people and above. Entrance fee of $10 per vehicle (or $8 per vehicle if you are Nevada Resident) at self-paying booth. Honest system: Fill in the particulars, then put the money in the envelope. 4. What to see or do at Valley of Fire? 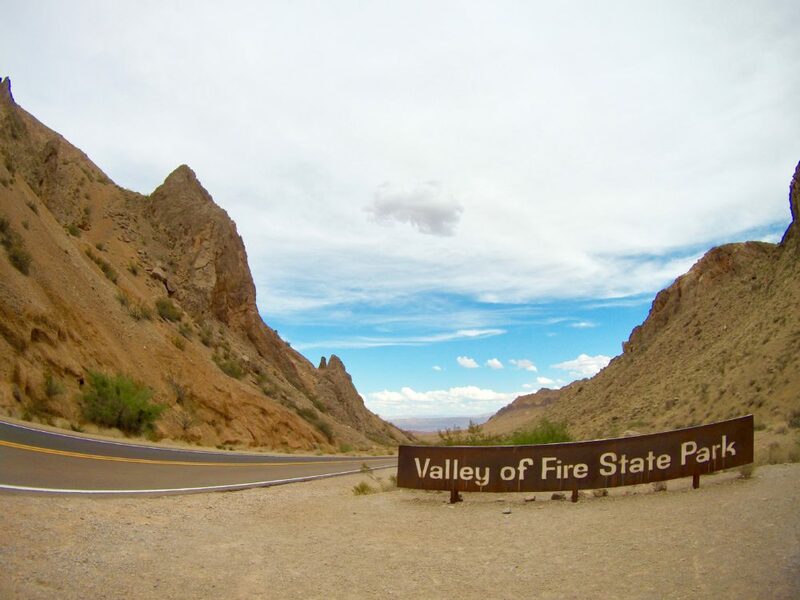 It is a great place for hiking for sure, and it if you just want to spend a day exploring the place without too much walking in the desert heat, just simply drive through the scenic drive (10.5mile/ 16.9km) and stop and take some photos and do a short walk along the way. * Beehives – Unusual sandstone formations eroded by wind and water. A must-see if you have a day to explore when visiting Vegas. A really special experience!